The next meeting of the New Jersey World War II Book Club will be Tuesday November 19, 2013, as usual at the Millburn Library, with the lecture commencing at 7 p.m.
Mr. Bruce Tucker will present a lecture on the British attack and destruction of the French Fleet anchored in North Africa July 3, 1940. 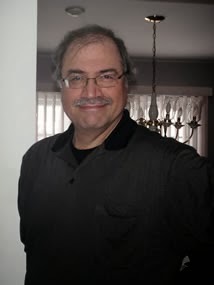 Bruce Tucker holds a BA in Political Science and History and a MS degree in Information Technology and Project Management from Stevens Institute of Technology. He has many years of experience as an information technology professional, project manager and technical instructor. Bruce is also a local historian, a Civil War living history interpreter and an experienced history lecturer at Rutgers Adult Education Forum. He presents lectures and living history programs on American History, World History and Jewish American History to both adults and students at local colleges, libraries, schools and local organizations. The British destruction of the French Fleet has been consigned to a mere footnote in the annals of World War II, but at the time it had the potential to change the course of the war. During the closing days of the Battle of France in 1940, and with the German victory all but assured, the British became increasingly worried about the disposition of the French fleet, the fourth largest navy in the world. Voicing these concerns to the French government, Prime Minister Winston Churchill was assured by Navy Minister Admiral François Darlan that even in defeat, the fleet would be kept from the Germans. In the surrender agreement with the Vichy Government, Hitler had agreed not to seize the French Fleet. But what worth was the word of Hitler! Not one to gamble, Churchill ordered the attack. The attack on Mers-el-Kébir was part of Operation Catapult. On July 3, 1940, the British Navy bombarded the French Navy at its base at French Algeria. The assault from the United Kingdom, a former ally, was unexpected and resulted in the deaths of 1,297 French servicemen, the sinking of a battleship and the damaging of five other ships. The attack, which remains controversial to this day, created much rancor between the United Kingdom and France and complicated the planning for the invasion of North Africa on November 8, 1942. There was even some suggestion that the British wear American uniforms because of the anger of the French over the destruction of their navy. Mr. Tucker will present on this little known aspect of World War II. For further information contact Dr. John J. McLaughlin at 973-467-3313. Membership Dues are $25.00 a year (September 2013 to August 2014) for a single membership and $30.00 for an entire family Accordingly, we ask all members to pay their dues now. Please send a check to John J. McLaughlin 10 Farmstead Road Short Hills, NJ 07078 or pay at the next meeting. Please, if possible pay by check to assist our bookkeeping. Mark your calendar. This year our Holiday Dinner will be at Mayfair Farms, West Orange, NJ. The date is Tuesday, December 17, 2013. The cost will $50.00 per person. There will be a cash bar, but complimentary wine will be served at dinner. Attendance is limited to dues paid members. Please send checks to John McLaughlin. Thanks to Sharon Austin, pictures from the October meeting are available on Flickr. 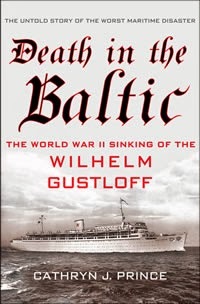 The gallery includes images from Cathryn Prince's presentation on her recent book, Death in the Baltic.